1. In large skillet with a fitted lid, cook onion, green pepper, and garlic in 2 tbsp oil until soft. Remove from pan and set aside. 2. Heat remaining oil in pan. 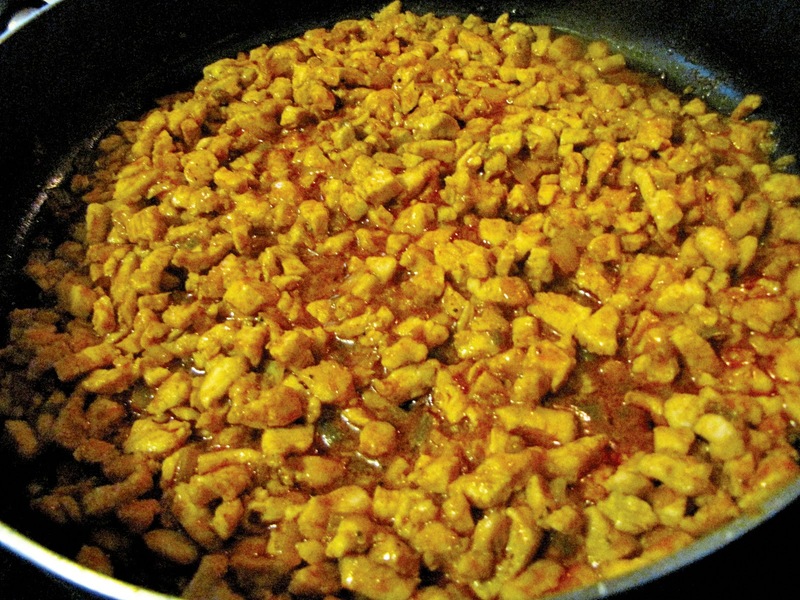 Toss chicken with flour, add to pan, and cook until just done. 3. 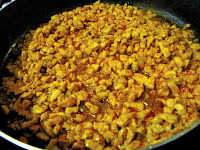 Add onion mixture and spices to chicken and mix well. 4. Slowly pour in chicken stock and stir well. Bring to boil. 5. Lower heat, cover pan and simmer for 20 - 30 or until thickened. 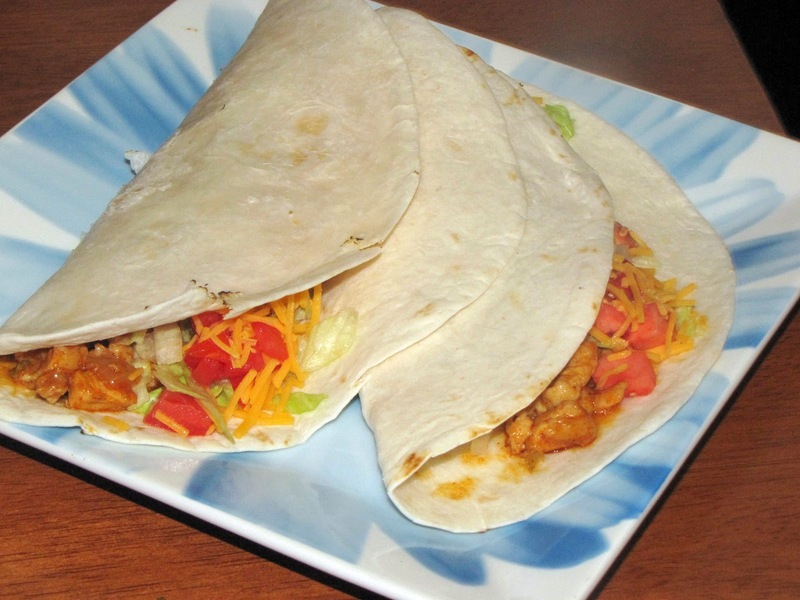 I like to serve this with warmed tortillas and bowls of lettuce, tomatoes, onion, and shredded cheese for everyone to build their own. They would also be good with salsa, sour cream, or beans.